Sadly, lots of kids with food allergies also have related conditions such as asthma, eczema and hayfever. We have all 3 of these in our house, which we have learned to manage fairly well. On top of this, our Mr 3, Harry, has a very serious allergy to some cleaning products and certain chemicals. After a particularly scary reaction and a race to the emergency department just after he turned one we were given an epi-pen, which we carry at all times. However, we have since discovered that he is a super sensitive little dude and that even a visit to a recently cleaned public loo or a change in sunscreen can leave him crying in pain from the nasty burn type reaction that spreads over his body from contact. So I wanted to share with you some of the ways that our family washes, bathes and cleans, whilst managing these allergies. *Please keep in mind that I am NOT a doctor or dermatologist and am not suggesting that the things that work for our family WILL be the answer for yours – but we have had a long journey to work out these things and I’d love to think that it might give you a place to start if you also have an Itchin’ household that is not restricted to the Kitchen. Additionally, we are not in any way paid to endorse these products!! 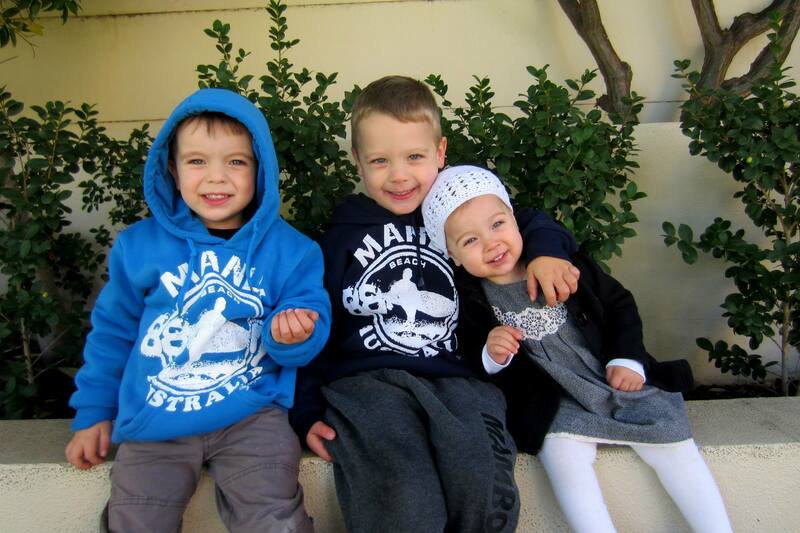 My 3 beautiful reasons for changing the way we do things! Vaccuming – Since dust mites and dust are an asthma trigger for us, and we have 3 little people and dog inside (!! ), I vacuum twice a week. We have pulled up all carpet and put down bamboo and we don’t have cloth blinds/drapes to eliminate as much as we can. Lots of vacuums just stir up dirt and blow it back out again so a really good vacuum is helpful. We installed a ducted vacuum system (which you can do yourself if you are handy, like my husband, to save big $$) which means that the pipe goes straight to the motor outside in the garage and there is no dust re-circulation. I know lots of other allergy sufferers who swear by their Dyson’s too. Dusting – I use a damp or electrostatic cloth to avoid stirring up dust. I dust weekly to keep on top of it – we live in an area where there is still quite a bit of house construction so it gets really dusty! Mopping – When I had a tiled floor I had a great steam mop. Loved that I could get a really clean floor without any chemicals. Sadly, steam mops are a big no no on wooden floors so I have recently purchased a Norwex microfibre mop that I use with plain water. Enjo also make a similar product and there are other less expensive versions available at the supermarket. General cleaning – Orange oil, bi-carb soda and plain white vinegar are my new best friends. I haven’t always been a fan of this type of cleaning product but as I have tried to protect my family I have also been convicted of the need to protect our environment (and our household budget as a bonus!). I use about 10 drops of orange oil in water mixed in a spray bottle to clean the bathrooms, toilets and showers. As opposed to tougher chemical cleaners, you do need to do this more frequently because it isn’t as good at cleaning up a scary build up of mould and grime, but if you keep on top of it weekly, it works well. 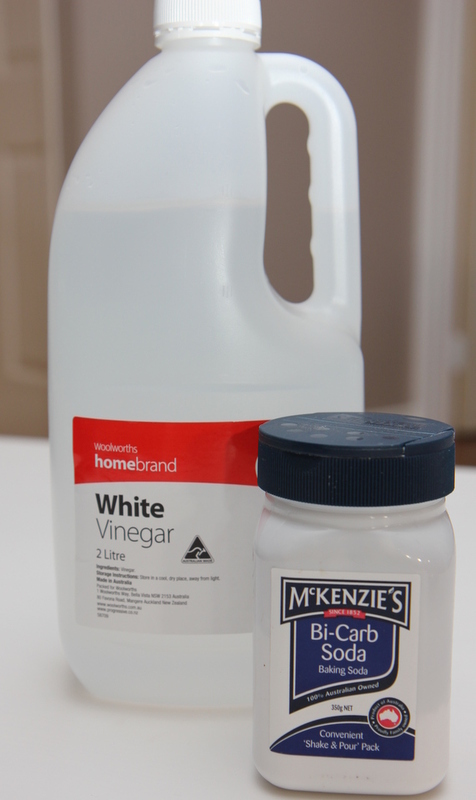 Bi- carb and warm water is a great cleaner for most things, use it as a paste if you need more of a cream type scrub or mix with a small amount of vinegar if you want a fizzing clean. Works for cleaning kids bath toys, un-blocking drains, and de-scaling your iron and kettle. It also works for getting smells (like pet wee or vomit) out of carpets . I do have to confess that I still use a bit of bleach on the inside of my toilet bowl – it is away from contact with Harry and those ingrained ideas about germs are very hard for me to completely ignore 😉 I use white vinegar in my dishwasher as my standard rinse aid and if I run out of the dishwasher detergent I use a heaped tsp of bi-carb and 3 drops of orange oil – works beautifully! 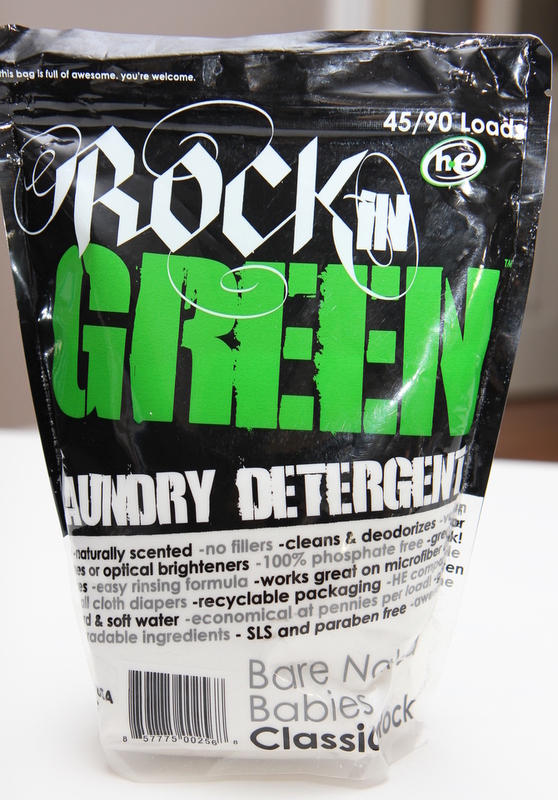 Washing clothes and nappies – My favourite washing detergent is called ‘Rockin Green’. I haven’t found it in a supermarket yet but it is easy to order on line with a Google search. It is totally phosphate free and also free of enzymes and optical brighteners. It is particularly amazing if, as we do, you wash cloth nappies. If I don’t have the Rockin Green, I use a standard sensitive washing powder, but I use only about 1/3 of the amount specified on the pack and often do and extra rinse too. As a pre wash for cloth nappies, a teaspoon of bi carb is amazing. I also sprinkle a tsp of bi-carb into the bottom of the nappy bucket to help absorb the smells. Bathing – Any kind of detergent is out for Harry, so we bath the kids nightly in warm water and a few tablespoons of Dermaveen Oatmeal Bath and Shower oil. If they are out at another house it is just plain water and a face-washer. A couple of drops of food colouring in the bath turns it a great colour if you want to make it more interesting. The oatmeal oil is beautiful and moisturizing and it is lanolin, paraben and fragrance free. Because I am in so much contact with the kids, I also use this to wash myself. Skin care after baths – To keep on top of the rashes and scaly skin we need to make sure the kids are very regularly moisturized. 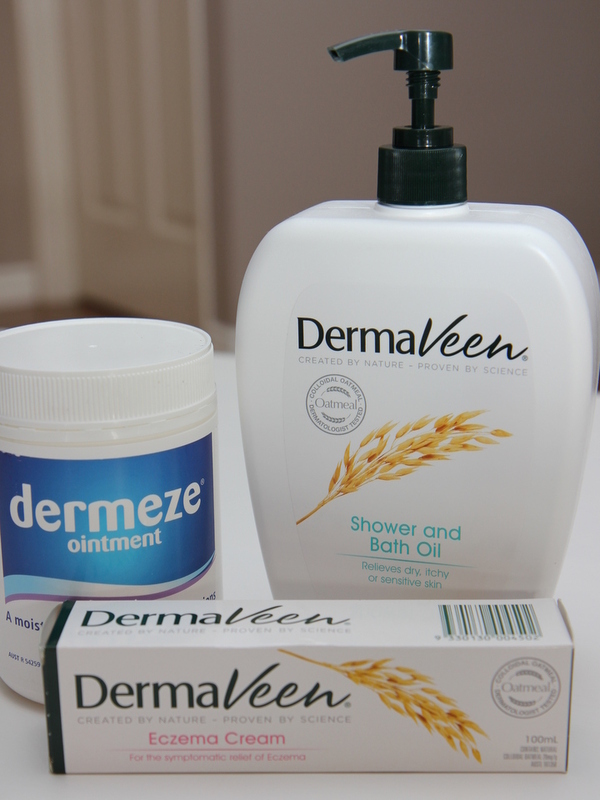 We use Dermeze Ointment. It is a soft white paraffin and quite thick, but it works wonders for sore and sensitive little bodies. We also use organic rose-hip oil on sore spots if they’re not bad enough to require the really strong medicated creams we also have. Dermaveen also make a nice thick eczema cream that is lovely and relieving and not as greasy if you aren’t so dry or itchy. Nappy Rash – This has been a big difficulty for Ellie as well as Harry, so after lost of bleeding bottoms (after only 1 acidic nappy) and doctors visits, we seem to have a routine that clears it up fairly quickly. We avoid commercial wipes and use warm water mixed with a tsp of bi-carb and wipe with a soft, chemical free, make up pad. Then when it is particularly bad, we use Hyrdozole cream (from your Pharmacist, it is a anti-fungal mixed with a cortisone) and then after a few minutes, use a very thick layer of Nappy Mate paste over the top (this was developed at the Children’s hospital in Perth for kids who were admitted to hospital with Nappy Rash, and is very thick and can be quite tricky to apply but it is by far the best healing barrier cream I have ever come across). Also let those bottoms air as much as you can … fresh air and a bit of sunshine works wonders! I realize that all written down in one place, this looks like a lot to change – but be assured, we have done this gradually and it’s now just second nature. Keeping your kids safe and well is always a big challenge – Good Luck and please let us know if you have any other tips for managing these things in your Itchin’ house.